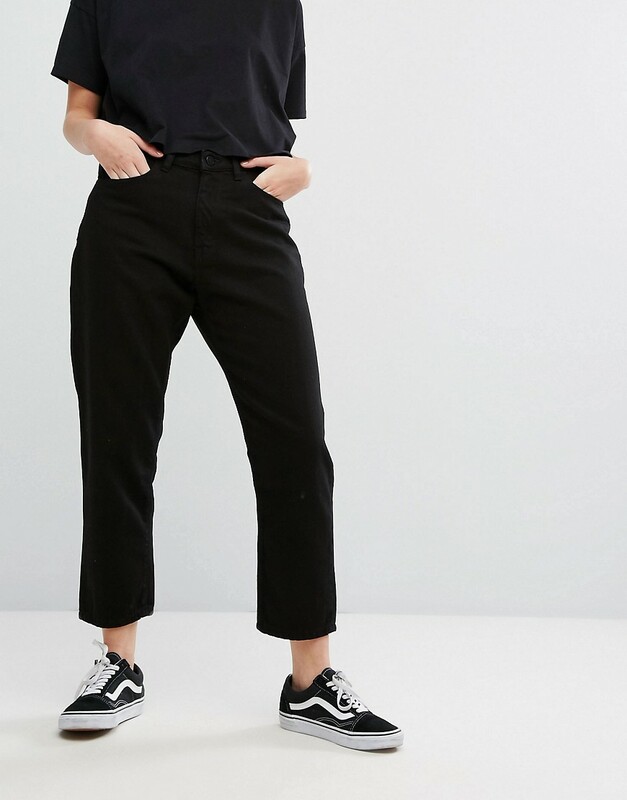 Mom jeans by wÅven, non-stretch denim, high-rise waist, zip fly, five pocket design, slim tapered leg, sits on the ankle, relaxed fit, machine wash, 100% cotton, our model wears a uk 8/w26 and is 170cm/57 tall. Inspired by minimalist design, contemporary denim brand wÅven focuses on clean lines and relaxed silhouettes. Channeling two generations of denim manufacturing know-how into its perfect fits and finishes, it is a considered collection of skinny jeans, t-shirts and chambray shirts.